For months the Establishment Media and its Democrat Party cohorts had breathlessly declared Paul Manafort was going away for “a very long time” while attempting to insinuate Mr. Manafort’s legal troubles were directly linked to his time with the Trump campaign. The truth is they weren’t. Manafort faced trial for matters totally unrelated to President Trump but rather on decades-old financial dealings. And this week a federal judge said as much while also handing out a relatively light sentence that has the far left seething. The Democrat Party, its left-wing media enablers and special counsel Robert Mueller were all served a veritable smackdown Thursday when the judge presiding over Paul Manafort’s case defied Mueller’s request and handed the 69-year-old political consultant a sentence of only four years. “To impose a sentence of 19-24 years on Mr. Manafort would clearly be a disparity. In the end, I don’t think the guidelines range is at all appropriate,” U.S. District Judge T.S. Ellis III ruled, citing the special counsel’s demand that President Donald Trump’s former campaign chairman spend up to a quarter of a century behind bars for white-collar financial crimes. “I think what I’ve done is sufficiently punitive — and anyone who disagrees should try spending a day in a federal penitentiary. And he’s spending 47 months,” Ellis continued. 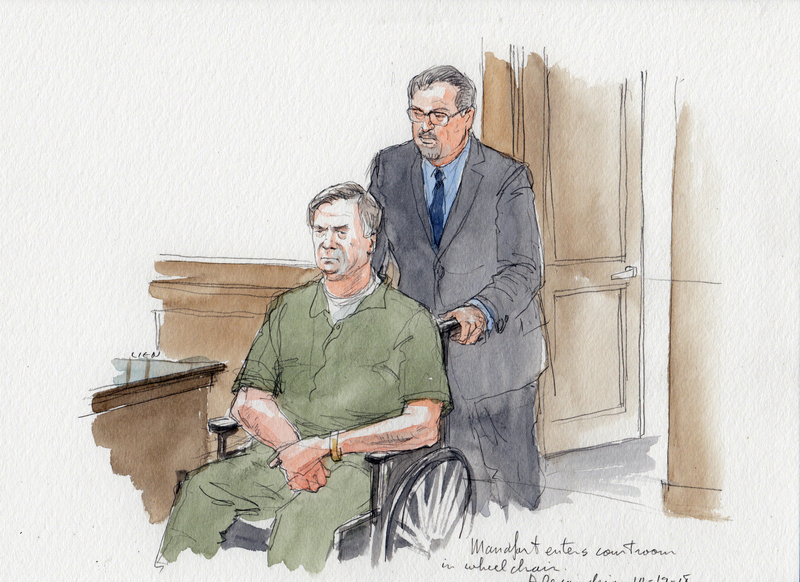 The judge, a Navy veteran appointed to the court in 1987 by then-President Ronald Reagan, added that Manafort is to receive credit for time served, meaning he’s only looking at another 38 months before he’s freed and allowed to return home to his wife and kids. The Democrat Party and its media enablers disagree with the ruling. By Friday morning dozens of “analysis” pieces and columns had been published by the media panning the judge’s decision. “Paul Manafort gets 47 months. Legal experts and advocates share examples of people who got more time for less,” a headline at CNN reads. As an example, the notoriously far-left outlet highlighted the case of a convicted felon who illegally voted in the 2016 presidential election — for then-Democrat presidential nominee Hillary Clinton, no less — while on parole for a tax fraud conviction, and the case of a crack cocaine dealer. Similar headlines and narratives can be found at New York magazine, The New York Times, The Washington Post, The Guardian, USA Today, MSNBC, Business Insider, etc. The above comments outline how unhinged Democrats and the media have become in their anti-Trump obsession. That is the real crime in their minds – Manafort worked, however briefly, on the successful 2016 Trump campaign. For all the anti-Trumpers that is as awful an offense as can be imagined and it seems they would not be satisfied until supporting President Trump is a crime punishable by death. Mr. Manafort was made a target, an old lending crime was dug up (one the DOJ has passed on years before) and used to try to intimidate Mr. Manafort into turning against the president. When Manafort refused, Mueller-led prosecutors threatened him with 25+ years in prison. It was not until this week when a federal judge basically slapped the anti-Trump frenzied prosecution of Manafort in the face did some semblance of real justice take place – which now has the far left gnashing their collective teeth in outrage. You see, they don’t want justice. They want revenge. Hopefully more and more Americans are paying attention to just how scary the far left media and Democrats have become. They are now openly advocating for a government that can knock on your door, put you in chains, and throw away the key for the crime of being affiliated with someone they politically disagree.